Sakura Watch, May 20, 2016 - No Cherry Blossoms to see this holiday weekend is what you will need to keep in mind when heading to High Park this May long weekend. This is a reminder to those who haven't yet heard the sad news or noticed that there were hardly any sakura cherry blossoms at all this year - and in fact this past week most of the trees are now entirely leaves with the random blossom in trees full of leaves. 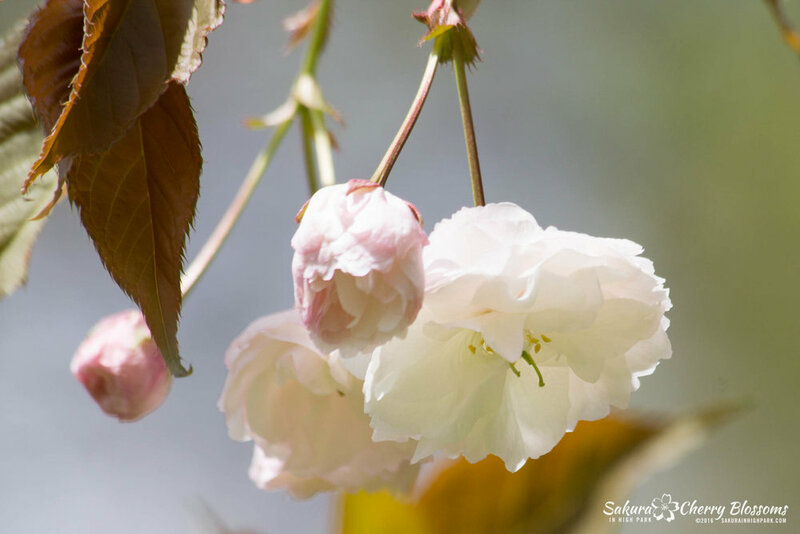 There are other blossoms like the Akebono/Fugenzo varieties down near Grenadier Pond as well as lots of different flowers in the park that you can enjoy, and the beautiful weather is still a good reason to get outside.